Stem cell therapy is an alternative to traditional ankle surgery as discussed in a prior blog. 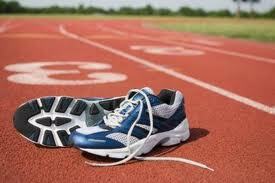 KW is a 21 y/o university track and field athlete whose ankle pain restricted her ability to compete. -Epidural injections of platelet derived growth factors: Regenexx PL-disc. -Injection of the loose spinal ligaments with Regenexx DDD. KW recently emailed me with an update which she has allowed me to share. It’s been a while since I have updated you on my progress and I felt that I had to share how well I have been doing. I had my procedure done on my ankle last August. Until the past few months, I kept expecting something to go wrong or for my ankle to begin hurting again because it just felt too good to be true. 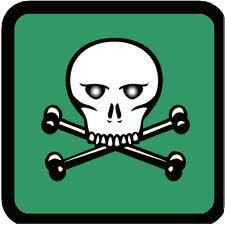 However, I honestly can say that I believed I am healed and 100%. It took about 6 months post-injection for the pain and stiffness to stop, and since then I have been training to gain back my endurance and strength for running. I am participating in weight lifting, hurdle drills and most importantly back to running 60+ miles a week with NO pain or stiffness in my ankle joint. At the Centeno-Schultz Clinic we acknowledge that heel pain can be disabling. 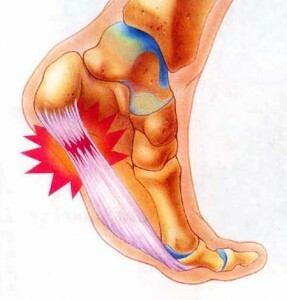 Plantar fasciitis is the most common cause of heel pain and is caused by the inflammation of the plantar fascia at its insertion on the medial process of the calcaneus ( heel bone). 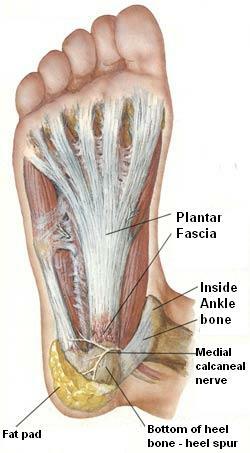 The plantar fascia is the thick connective tissue which supports the arch on the bottom of the foot. 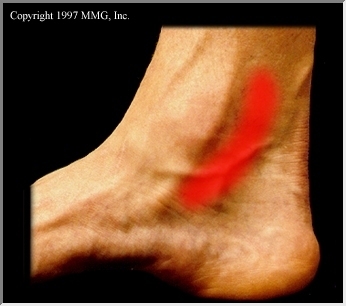 It runs from heel bone (calcaneus) forward to the heads of the metatarsal bones. Repetitive microtrauma of the plantar fascia due to alterations in foot bio mechanics is thought to be major pathology. 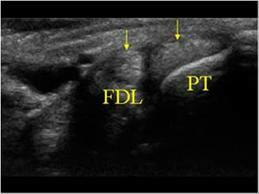 In-0ffice MSK ultrasound at the Centeno-Schultz Clinic allows for radiation free method of visualizing the plantar fascia and diagnosing plantar fasciitis. Treatment options for those who have not responded to rest and conservative therapy include IMS, ultrasound guided prolotherapy, PRP and percutaneous needle tenotomy. The latter is a non surgical procedure where under ultrasound guidance a small needle is placed into the fascia and small holes are created. 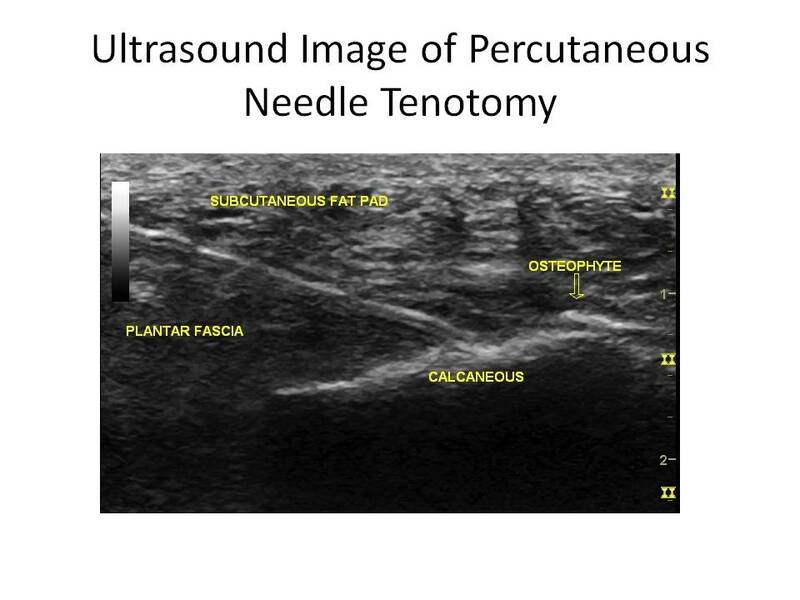 A recent study by Vohra demonstrated greater than 80% improvement in 41 patients with chronic plantar fasciitis who underwent percutaneous needle tenotomy. 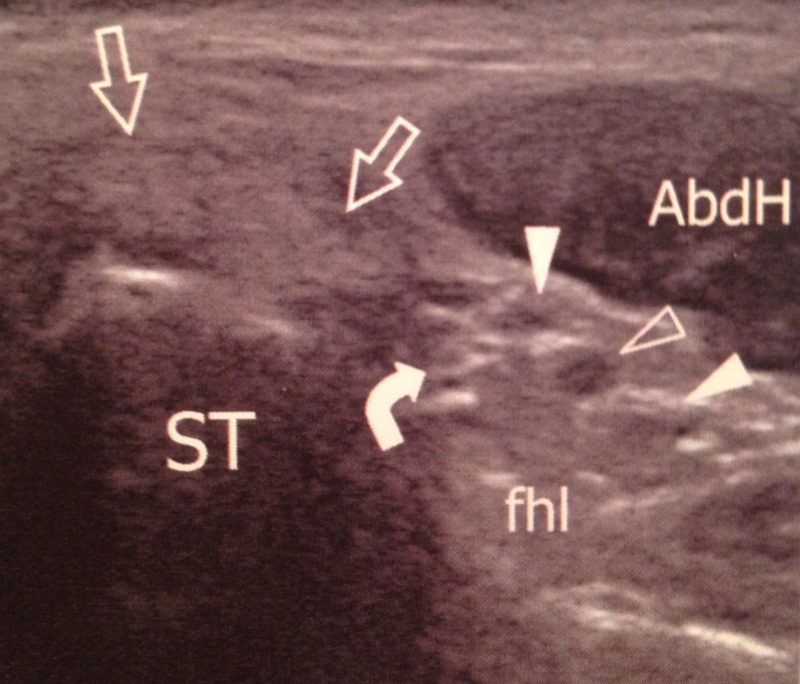 The ultrasound image below shows a needle directed into the plantar fascia in a patient with severe plantar fasciitis. Stability is a central theme at the Centeno-Schultz Clinic as discussed in Ortho 2.0. 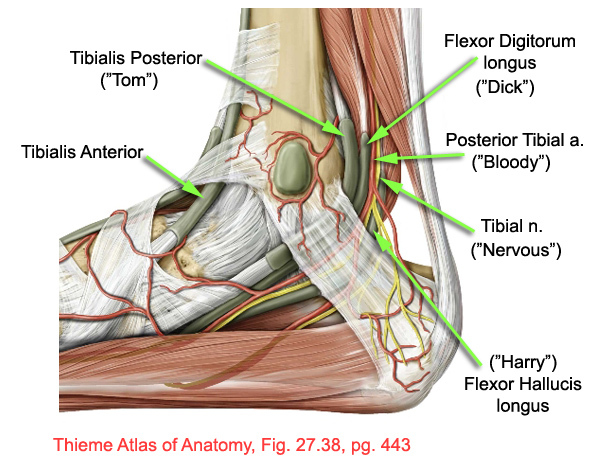 The anterior talofibular ligament provides critical lateral support to the ankle and has been discussed in prior blogs. 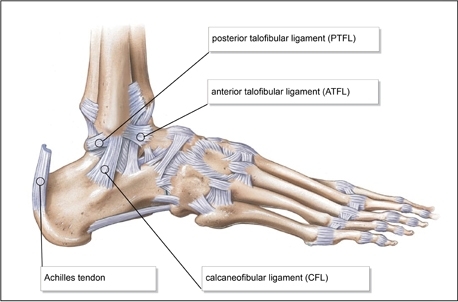 Stability of the anterior talofibular ligament is evaluated by the anterior draw sign whereby the distal part of the leg is stabilized with one hand while the other hand cups the heel. 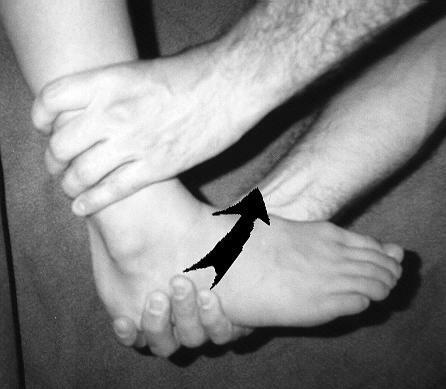 An anterior pull is applied to the heel attempting to move the talus forward from beneath the tibia. 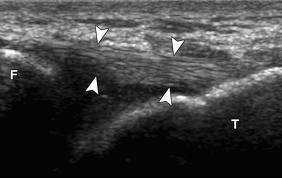 The anterior drawer test has demonstrated high accuracy in the determination of lateral ankle instability and in the diagnosis of a ligament rupture. Stem cell therapy is an alternative to traditional ankle surgery and a clinical case has been previously discussed. 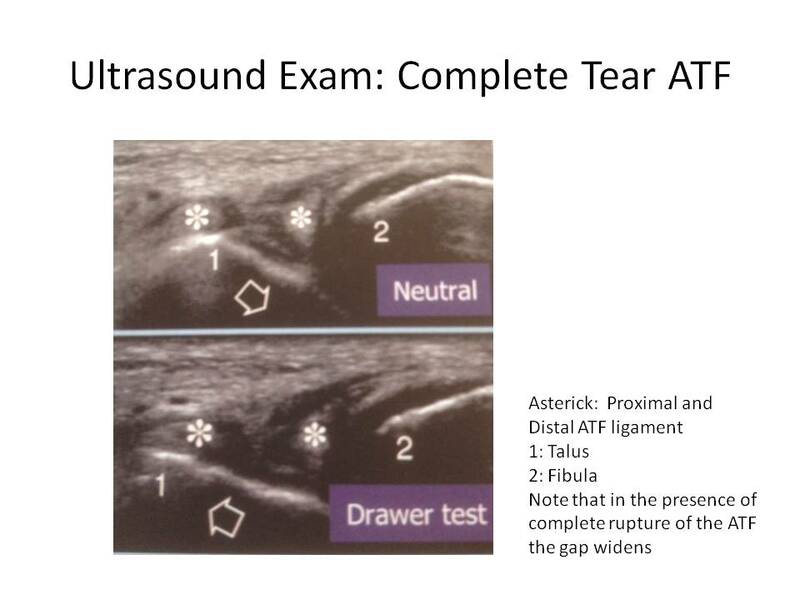 At the Centeno-Schultz Clinic the anterior drawer sign can be performed under MSK ultrasound which can distinguish a partial from a complete tear. 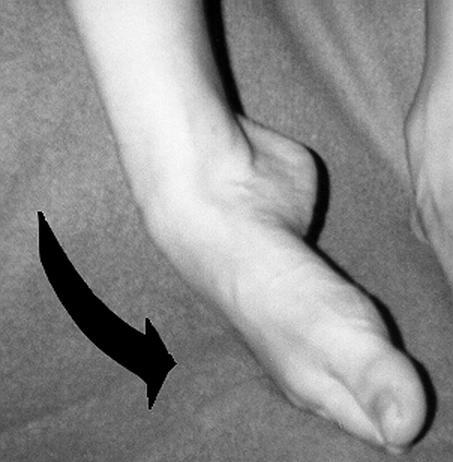 The patient is place in the prone position with the foot hanging off the exam table in plantar flexion. The forefoot is then pulled forward while the tibia is stabilized. 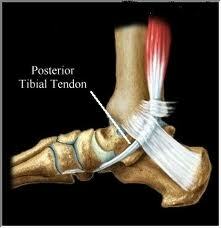 If the ATF is torn the gap between the talus and the tibia/fibula will widen when anterior force is applied which is depicted below. Ankle instability can mean the end of a career or passion. Micro motion in the ankle can led to additional injuries and accelerate the degenerative process as discussed in Ortho 2.0. Stem cell treatments are an alternative to ankle surgery. CK is a case in point. CK is active equestrian and ballet dancer who sustained a severe ankle sprain who presented to the Centeno-Schultz with a 4 month history of ankle instability and pain. Her symptoms were progressive in nature , exclusively located over the lateral aspect of the ankle and refractory to conservative care. MRI was signficant for complete rupture of the anterior talofibular ligament and Grade 2 sprain of the calcaeofibular ligament. 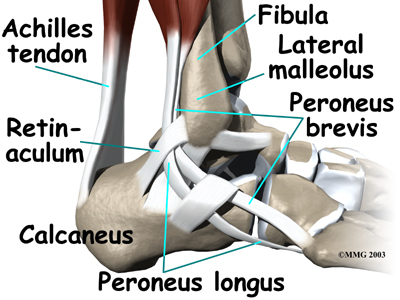 The importance of the anterior talofibular and calcaneal fibular ligament has been discussed in a prior blog. CK underwent ultrasound guided injections of both prolotherapy and Regenexx PL and SCP with significant improvement. Initial MRI of ankle noted a complete rupture of ATF whereas followup studies demonstrated a thick and wavy ATF ligament. Pre and post MRI images will be posted at a later time. Most importantly CK avoided a surgery and is back to her passions: dancing and riding. Congratulations! !